If you are a property owner, it’s important for you to understand the laws concerning snow removal in your area. We hope the article below, originally posted by Rentec Direct, helps you plan for next year’s invasion of the white stuff! Snow removal requirements from driveways, sidewalks and roads that border your private residence or home are typically enforced by state and local laws. Typically, if you own a house (or business) that borders a public walkway or sidewalk, the owner is responsible for keeping the sidewalk clear of snow and ice. City ordinances and local laws give time frames for when snow needs to be cleared and where the snow can be moved to. Failure to comply with local snow removal laws will result in a fine. If you live at rental property, your rental lease should state whether or not the tenant is responsible for snow or ice removal per local laws. For single-family rental properties, snow removal often becomes a tenant responsibility. The lease will have details on the snow removal requirements. Your landlord should be familiar with the local laws about the time frame for shoveling snow or ice, and include the information in the lease. For multi-unit properties or apartments, snow removal is often taken care of by management because there are common walkways that the landlord must maintain. In some cases, a lease will forbid a tenant from removing any snow or ice from the property because attempting to do so will create a legal liability. When you create the tenant-landlord agreement, it’s important to be clear about when and where the snow needs to be shoveled. For example, you should specify how soon after a snowfall a path needs to be cleared and how wide the path needs to be with references to the state and municipal codes on snow removal. Keep your resident updated on the local laws regarding snow disposal and offer safety tips to reduce the risk of injury while they do it. To ensure regular shoveling of the property, you might want to provide your tenant with a shovel and the salt or sand needed to prevent anyone from slipping on your property post-shoveling. Each state and the cities within have different ordinances that govern their snow and ice removal requirements for property owners and residents. Check out this guide for a list of all 50 states and snow removal laws from a city in that state. 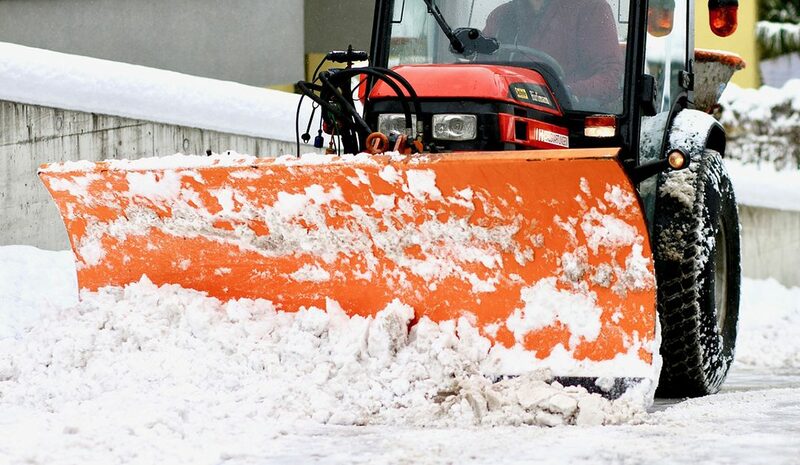 If you have questions about your specific county or city ordinance on snow removal contact your city offices or use the key word search “snow removal ordinance” along with your city or local municipality’s name. Need help with your snow removal jobs? Get a fast, reliable quote! Contact Toledo Snow Control for your FREE Quote now! And remember, we offer a real-time tracking system, so you’ll always know where we are.